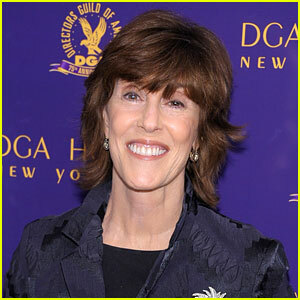 To some it may seem like a small thing, but it’s not: Nora Ephron made movies. In an industry where M. Night Shamalamadingdong can continue to get movies financed despite making some of the worst movies ever, women continue to be seen as “too much of a risk” to gamble on. Predictably, when Kathryn Bigelow won the Best Director Oscar (for the movie she had to get independently financed because the director of Near Dark, Strange Days, Blue Steel and Point Break wasn’t a good risk for funding -_-) it was hailed as a ‘new era’ for women in film, but most of us rolled our eyes because we knew. Same ol’ same ol’ — if not worse. –which you could say about pretty much everyone in Hollywood. But today let’s remember a smart, funny woman who got things done and made us laugh and cry, because now there’s not just one less terrific dame in the world, there’s one less woman with power in the film industry and we are all much poorer for that. Resquiescat in pace, Ms. Ephron. Thanks to The Cultural Gutter for posting this clip. To start with SILKWOOD is a pretty impressive achievement. She had the good sense, in LUCKY NUMBERS, to cast/accept the casting of Maria Bamford, but there’s a certain Michael Ritchie-like slope to this career…but the essays continued to be interesting and engaging. And you have to go back to Ida Lupino, I think, to see a woman director with as much mainstream work under her belt, indeed. That we have to go back to Ida Lupino to find a comparison shows just how sad Hollywood is.